Few architectural details are so overlooked, yet so iconic as the balustrade. After all, where would Evita or Juliet be without their balustrades? Balustrades add both safety and class to high balconies, porches and rooftops. They safely and beautifully open up areas of a building that would otherwise be inaccessible or dangerous, while adding those finishing touches that show that the architect really put some time into their work. So open those windows, and add a safe and beautiful balcony with architectural fiberglass balustrades from Stromberg Architectural Products. Why Go With Stromberg GFRP Balustrades? Neither Evita nor Juliet’s balustrades were made from architectural fiberglass; they were stone. 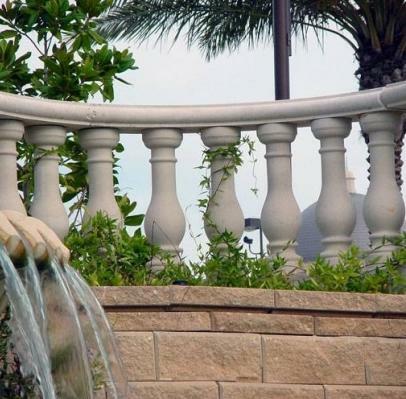 However, stone balustrades are naturally heavy, difficult to install and expensive to construct. Not only does it require expert stonecutters to construct stone balustrades, but they also have to be securely transported and installed, sometimes in difficult to access areas. Architectural fiberglass solves all of those problems. Not only is it inexpensive and easy to produce unique, beautiful architectural fiberglass balustrades, but they are remarkably light-weight, making them easy to transport and install. 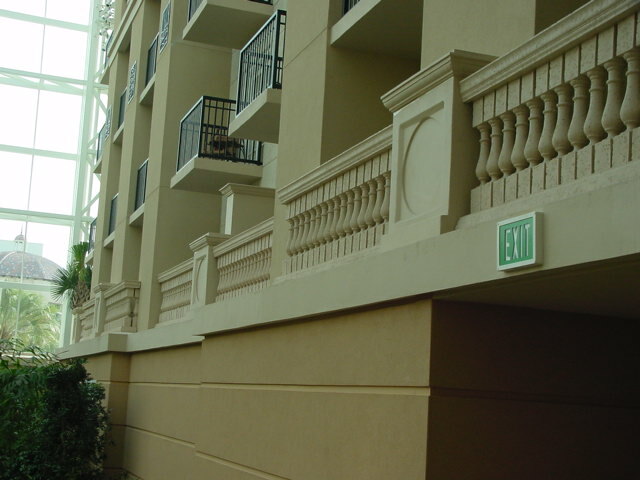 This makes GFRP balustrades perfect for large scale projects, like hotels, that need to fill large orders of identical balustrades. While Stromberg Architectural Products has a large selection of beautiful styles of balustrades, it is possible that you need something truly unique to complete your architectural vision. For projects like this, you can work with one of the expert craftsmen at Stromberg Architectural to custom design a style of balustrade that is 100% uniquely catered to your construction. This custom balustrade will be the same high quality architectural fiberglass as any other Stromberg product, but it will be custom made to your order. Architectural fiberglass balustrades are easy to install. Stromberg architectural fiberglass is resistant by water damage, rot or mildew. The craftsmen at Stromberg Architectural Products will work closely with you throughout the entire process to make sure your finished architectural fiberglass balustrades are crafted to your specifications.